With court challenges to the state's Oct. 7 recall vote apparently exhausted, candidates hoping to replace Gov. Gray Davis began a 14-day sprint to the finish that includes a crucial debate among the leading challengers. A full panel of the 9th U.S. Circuit Court of Appeals on Tuesday reinstated the vote's original timetable, removing uncertainty that threatened to kill the momentum of the compressed campaign and lose the interest of voters. The decision put even more pressure on the candidates appearing Wednesday night at the only nationally televised debate in which front-runner actor Arnold Schwarzenegger was scheduled to appear. In addition to Schwarzenegger, the 90-minute debate at California State University's Sacramento campus will feature Democratic Lt. Gov. Cruz Bustamante, Republican state Sen. Tom McClintock, independent Arianna Huffington and Green Party candidate Peter Camejo. 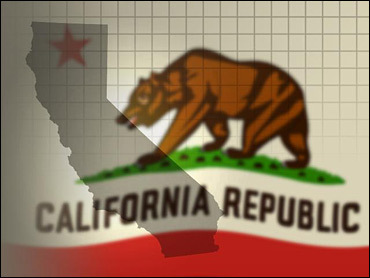 In a case of good news-bad news for Davis, a new economic report finds California's economy is improving and should continue to do so gradually over the next year, but the state won't see a significant recovery in terms of new jobs until 2005. The Web-savvy Huffington campaign released its newest two-minute online cartoon called "Special Interest Brothel." The setting is an Old West "cathouse for the fat cats," showing scantily clad Bustamante, Davis and Schwarzenegger sweet talking so-called special interests. Headlines called it the "Tonight Show Circus," in which 90 of the recall's 135 candidates appeared on "The Tonight Show with Jay Leno" and simultaneously shouted out their campaign platforms for 10 unintelligible seconds. Quipped Leno: "Only in California do we have more candidates than registered voters." If Davis survives, The Los Angeles Times reports, Republicans may have only themselves to blame. In recent weeks, attention has shifted from the governor's alleged failings to the candidates seeking to replace him, and Davis' poll numbers have improved as a result. At other forums, Schwarzenegger's absence has been the focus of sniping by contestants. An empty chair with his name on it has been used to signify the missing celebrity. Critics have complained about the format of Wednesday's debate, since the 12 voter questions that will be asked have already been made public. Organizers said there will be ample time for give-and-take about each question. The looming debate came even as candidates sharpened their attacks, with the two front runners, Bustamante and Schwarzenegger, airing negative television ads in recent days. After Schwarzenegger released a campaign ad Monday attacking Bustamante and McClintock for taking money from Indian gambling interests, Bustamante responded with an ad Tuesday accusing Schwarzenegger of being out of touch with common people. "Arnold doesn't share our values. He won't fight for our health care, our neighborhoods, our jobs. He doesn't live in our world. He lives on Planet Hollywood," Bustamante said of the wealthy actor. Schwarzenegger, after a question-and-answer session in Sacramento, defended his ads. "You cannot represent the people of California if you take money, millions of dollars from the Indians," he said. Bustamante said later that Schwarzenegger should not criticize him because the actor took Indian contributions during his initiative campaign to fund after-school programs. "It seems very hypocritical that he is attacking tribal governments when just a year ago he was having a fund-raiser in San Diego and raised $62,000," Bustamante said. McClintock, meanwhile, continued to ignore calls to step aside or risk splitting the GOP vote. The state senator is in the race "not only to the finish line — we intend to seek re-election to the governorship," said campaign director John Feliz. In the court ruling Tuesday, the judges unanimously decided that the risk some votes might go uncounted on Oct. 7 was overshadowed by the heavy costs in time and money that have already been invested in the campaign. The decision overturned last week's ruling by three of the most liberal judges on the court. They had argued the election should be postponed until six counties can install new voting machines so that millions of California voters wouldn't have to use the infamous punch card ballots that tarnished the 2000 presidential election. The American Civil Liberties Union, which had sought a postponement until March, said it would not appeal Tuesday's decision to the U.S. Supreme Court, removing the final legal roadblock to the recall. But while the battle at the courts may be over for the time being, it is possible there will be more litigation after the vote is complete if a close tally forces a Florida-style recount. Legal experts said Tuesday's federal appellate court ruling leaves the door open to lawsuits. "If it's an extremely close election and if there are a lot of uncounted ballots from these punch-card machines, then I could see some squabbling over what kind of a manual recount we should have," said Vikram Amar, a Hastings College of the Law scholar. If more than 50 percent of voters say "yes" to recall Davis on the first half of the ballot, the next governor could be elected by a very small margin, since there are so many candidates — a total of 135 — running to replace him on the second half of the ballot. The appeals court acknowledged the possibility of lawsuits, saying the ACLU is "legitimately concerned that use of the punch-card system will deny the right to vote to some voters who must use that system." But the court added: "At this time it is merely a speculative possibility, however, that any such denial will influence the result of the election."